"... I've been on ergo shred now for about 3 weeks and so far I am impressed. Energy boost is noticeably and last about 3-4 hours. Weight loss is good at about 2lbs per week. I also look much less bloated then before. Recommend it and will continue to use." The perfect, safe and natural group of ingredients to help you get slimmer quicker! 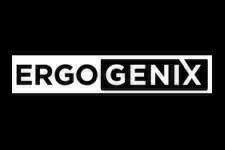 ErgoGenix has been producing some exciting new products such as their ErgoShred supplement - the latest in the stream of effective thermogenics that truly do deliver worthwhile and real-life results. 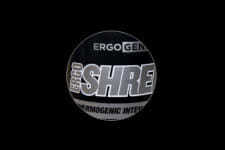 A revolutionary product, ErgoShred is your solution to creating a healthy appetite, all day long lasting energy, improved overall endurance levels and most importantly and great fat burner that will get you back in shape! 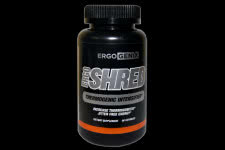 Unlike other fat burners on the market today, ErgoShred combines the perfect combination of ingredients that work perfectly together to get your the results, these include Zingerone, Quercetin, N-Methyltyramine (NMT) and finally some Caffeine. Another top notch item which is responsible for the energy boost yet 100% jitter free is B-Phenylethylamine HCl, it also has an effect to improve your daily focus and mood. It's time to take control of your weight loss, you work hard enough in the gym and with your diet that you've earned the right to give progress a big boost! Change your Metabolism to Help with Fat Loss & Energy!